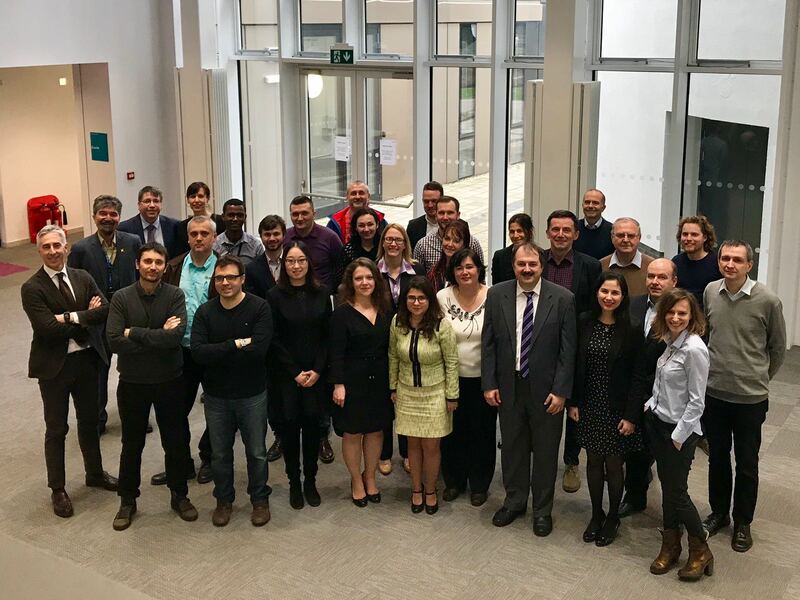 BRUNEL hosted the 5th NEWTON Consortium meeting on 22nd and 23rd of March 2018 in Brunel University, London, the UK. All partners were present: ADA, ATOS-ARI, ATOS-SK, BYD, BRUNEL, CEU, DCU, KTEC, NCI, SIVECO, STUBA, UBU, QUI and WLP. As the NEWTON Project is now over half-way through, the conversations were focused on piloting the NEWTON technologies and exloitation. NEWTON technologies include Virtual and Fab Labs, Gamification and Game-Based learning, Adaptive and Personalised, as well as Augmented and Virtual Reality, Multi- and Mulsemedia. All these technologies are included in the pilots. Pilots are currently on-going, and the first preliminary results and user experiences were discussed. NEWTON Project’s virtual, Fab Labs and platform have received largely a very positive welcome throughout the educational institutions where they have been deployed, ranging from primary to third level, and further pilot studies will be carried out throughout 2018. The consortium ended with plans for the next meeting, which will see the partners meet in Salerno, Italy, in May 2018.